“Gallup sees strong relationships between people’s answers to questions about their own security and their own experiences with crime and law enforcement and external measures related to economic and social development,” the group said. 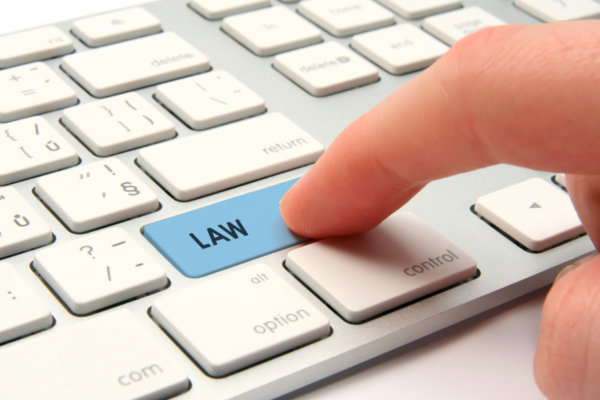 Overall, South Africa ranked 137th with a law and order score of 58 – tied with Mexico – making it the sixth worst in the world, and the worst in the Sub-Saharan region. Only Liberia and Gabon (West Africa), South Sudan (East Africa), Afghanistan (Middle East) and Venezuela (South America) were below SA. According to Gallup, the majority of the world expressed fair confidence in their police force and felt secure in their countries. One in eight respondents (13%) said they had property stolen from them or another household member in the past year, and 5% said they were assaulted or mugged. In stark contrast, only 31% of South Africans said they felt safe in the country, while half said they had experienced crime in the past year. Around 60% expressed confidence in the police force. While the Gallup poll is a perceptions index – ie an overview of what South Africans think and experience – the idea that South Africa is an incredibly dangerous country is well covered, and backed up by high crime rates, and high rates of violence, in particular. The 2018 Global Peace Index by the Institute for Economics and Peace (IEP) showed that South Africa’s reputation as one of the most violent and dangerous places on earth is getting worse. In the Index, South Africa ranked as the 125th most peaceful country in the world, out of 163 countries and districts measured. 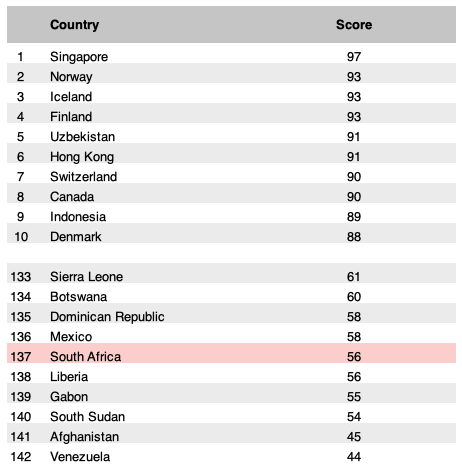 In the overall societal safety and security category, South Africa ranked within the bottom 20 in the world – ie as the 18th most dangerous place, socially (factoring in crime and social violence). When looking at murder rates, at the time of the report, the country’s murder rate was recorded at 33 people per 100,000 population – putting it within the top 10 most violent places on earth. However, more recent statistics published by the South African Police Service has shown that the country’s murder rate has grown, and is now sitting at 36 murders per 100,000 people – or 57 murders a day.